I periodically post videos of the random snare drum licks that I write, along with sheet music, to my YouTube channel. For the most part, these licks—as whole passages—are far beyond the difficulty of what most people would want to take the time to learn, so I present them more as objects of study. 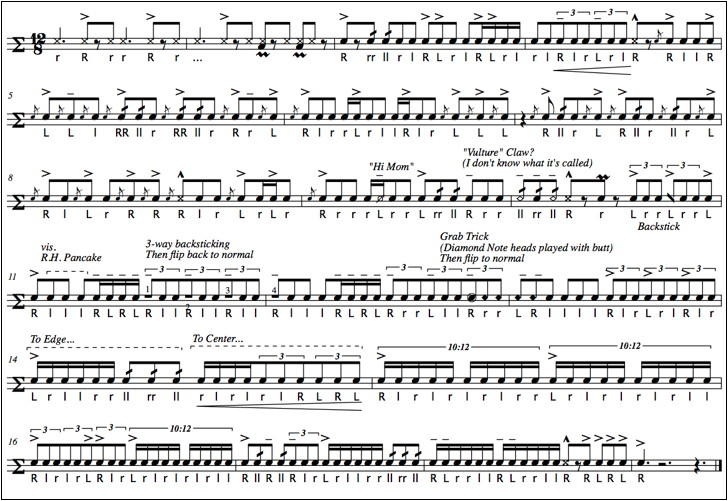 Many players get caught up in the hype of formulating and naming hybrid rudiments, and while this practice often produces interesting results, I prefer, instead, to present new and useful rudimental contexts. 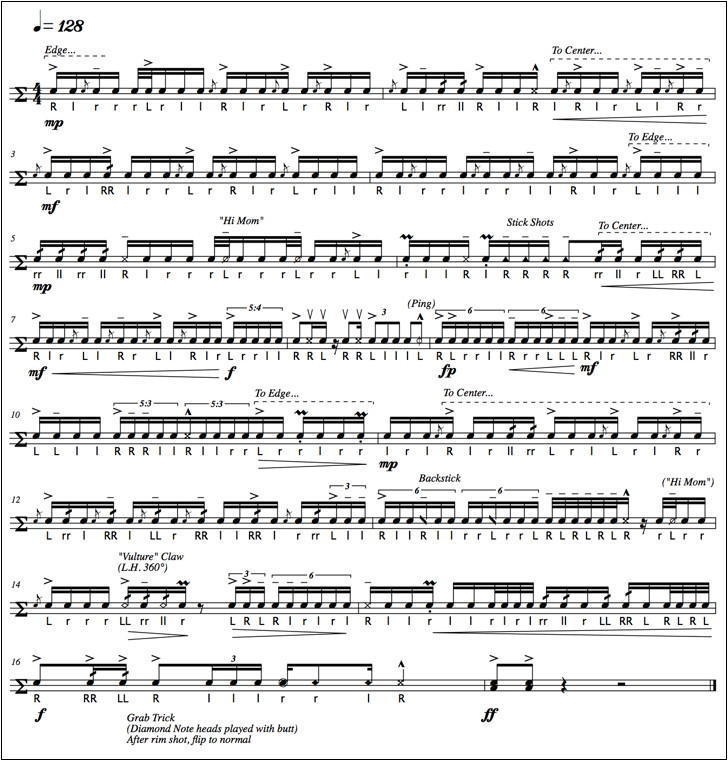 Hopefully, some of this material will make you see certain rudiments or stroke combinations a little differently, or as being more versatile. I especially hope that some of the stick trick contexts will help to inspire your own solo writing, as incorporating stick tricks into a passage in a way that looks and feels natural—rather than awkward or contrived—can often be very difficult, requiring plenty of trial and error. So here are the licks. Good luck!